Gambling 666 » Should You Play Cash Games or Tournaments? 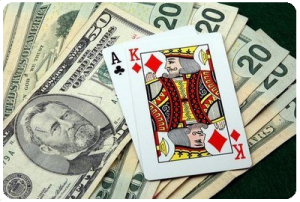 Should You Play Cash Games or Tournaments? The growth of online poker has contributed to the number of poker players interested in playing cash games and tournaments, whether it be online or in a live environment. The leading online poker sites offer a regular schedule of online tournaments with huge prize pools and the cash game segment on most poker rooms provides plenty of action as well. In fact, there are literally millions of dollars in play every hour at most major online rooms like UB or PokerStars – either from cash games or huge prize pools from tournaments being played. 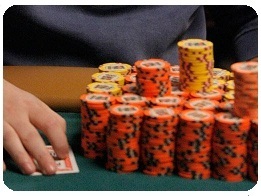 A question which a lot of new players ask is whether they should primarily play cash games or tournaments. There is no question that cash games and poker tournaments require a different skill set so it would be wise to primarily play one game, whether it is cash games or tournaments, to become a winning player at that game. Even if you are a winning tournament player, you can’t assume that you can start playing in high stakes cash games and you will beat that game. The games play very differently and there are different concepts and poker strategies which you need to understand. To decide which games is best for you, it would be a good idea to look at the pros and cons of tournaments and cash game poker. The online tournaments hosted on the major online poker rooms come in different formats, including sit-n-goes and multi-table tournaments. Super turbos where the blind structure is very short is appealing to players who don’t have a lot of time to dedicate to poker. If you are playing in a MTT with a massive player field, in order to make the final table and take down the tournament can sometimes take upwards of 8-10 hours. However, from a relatively small buy-in there is the unique opportunity of making a big score. With tournaments, since most of the tournaments have large player pools, the chance of running deep and winning and fairly small, since large plays a large role in tournaments in comparison to cash games. You need to be winning your coin flips and run fairly good if you are to have any chance of winning the tournament. This means that you can go for long periods of time without even making the money of a tournament, especially if you only play in big MTTs. If you play 9 player sit-no-goes or 45 man sit-n-goes then of course you will make the money and win tourneys on a more regular basis, but the prize pools are not as attractive. On the other hand, cash game poker is the most pure form of poker in my opinion. Usually you will be playing with deep stacks of 100bb or more which means you have the opportunity to play more hands and be more creative in your play. Due to the blind structure of most tournaments and because you are playing with shallower stacks, quite often players are in fold/shove move early on, which takes away from the excitement of the game at times, since you don’t get to play the flop, turn, and river. Even though poker is a game with an element of luck, I think luck is less of a factor in cash games. When it comes to winning poker cash games, playing aggressively is encouraged because you will be unpredictable in your play and it keeps your opponents guessing. A lot of cash game players are fearful of losing and so are playing with scared money, so you can exploit this weakness to build up your chip stack. If you tighten up too much it becomes very difficult to get paid off with your big hands. Your opponents will notice your aggressive playing style and by the time you have built up a big stack, you will eventually wake up with a monster hand and get paid off. The beauty of cash games is the convenience of playing when you want to. If you fancy playing a quick session of 100 hands it is possible. You don’t have this luxury with big MTTs. In addition, if you are doing really well in an online poker session, you can easily leave the table with all your winnings. This is not considered poor etiquette when playing online poker, everybody does it. And even though you are risking your hard earned money when playing cash games, if you are making the mathematically correct decisions on a consistent basis, you will win money. So as you can see, there is a lot to think about when deciding if you should play cash games or tournaments. I think your personality will play a role in what game you choose to play as well. Naturally conservative players gravitate toward tournaments since there is a low risk to reward ratio. Aggressive players gravitate toward cash games since skill plays a larger role and the fluctuations in bankroll are not as severe. If you’re looking for top online poker sites that will help you practice cash games or tourneys at lower and nosebleed levels, then don’t be afraid to check out approved G666 rooms like Full Tilt Poker, PartyPoker and Carbon Poker today. These sites also offer play money tables so you can get eased into the real money poker arena, so don’t hesitate to open up a free account.